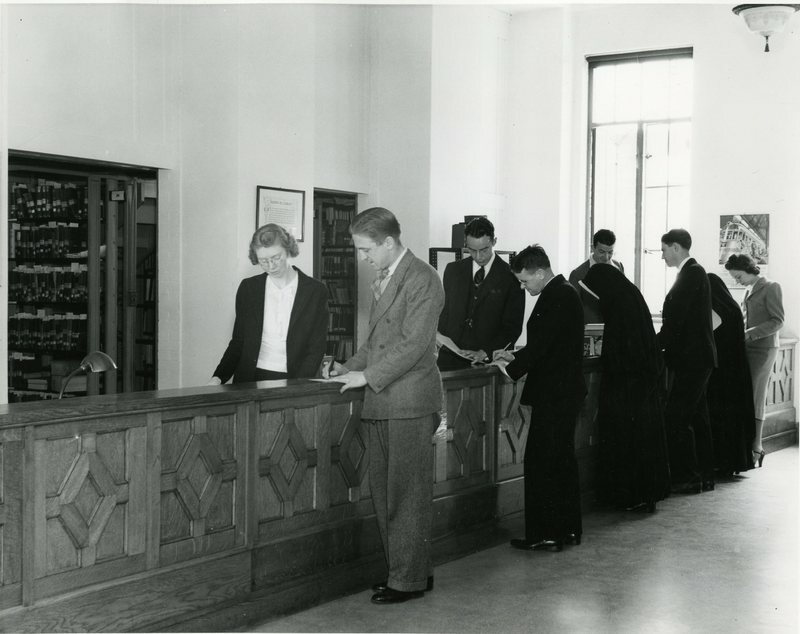 Undergraduates of the war years were required to take introductory courses in their first year. History 101 – 107 were courses focused on Ancient Greece/Rome, Medieval, Early Modern and Modern Europe, Colonial America, History of the United States, Economic History (this one was taught through the Economics Department). After having successfully completed the 100-level courses, students could take 200-level courses which often continued directly from the lower level. For example, History 201 and 202 focused on “The Development of the American Nation Since 1763,” which was a course on political history with “constant reference to economic, social, and cultural developments” (usually divided into two semesters). The 201 course could also be centered on “English/British Constitutional History”. * History 305: French Revolution and the Napoleonic Era. * History 501/502: English Political and Constitutional History to 1714 (prerequisites: 101, 102, 201, 202) and History 503/504: English Political and Constitutional History after 1714. 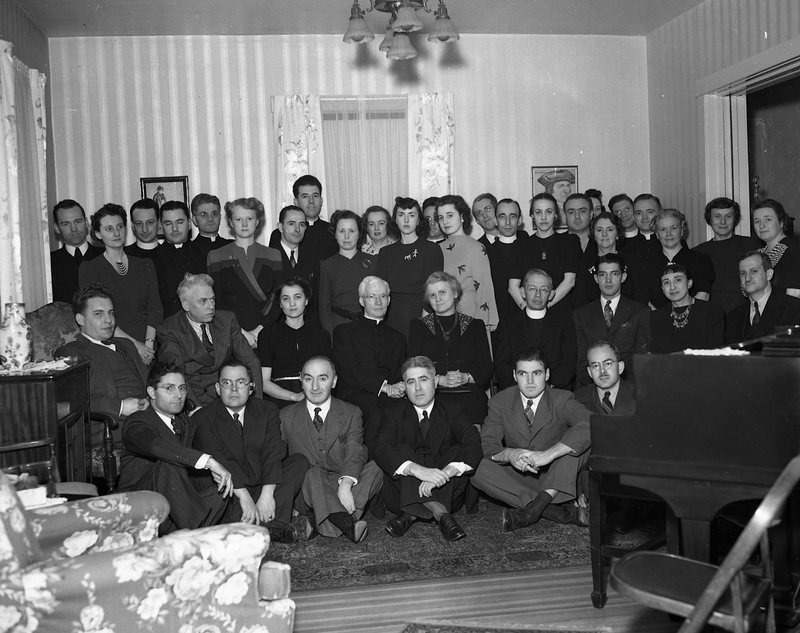 There were even more priests at CUA at this time because those who would usually go to Rome could not because of the war between Italy and the United States. 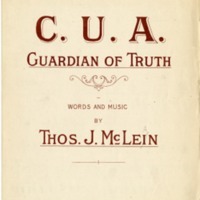 CUA Archives, History Department, Box 2, 1944, letter # 17.